WWF has today awarded its highest accolade – the Gift to the Earth Award – to two leading regional ocean management organisations that have been instrumental in establishing protected areas on the high seas. Bergen, Norway - WWF has today awarded its highest accolade – the Gift to the Earth Award – to two leading regional ocean management organisations that have been instrumental in establishing protected areas on the high seas. WWF International Conservation Director Lasse Gustavsson handed over the awards at the close of the Ministerial Meeting of one of the recipients, the Oslo-Paris (OSPAR) Commission for the Protection of the Marine Environment of the North-East Atlantic in Bergen, Norway. Attending the meeting as observers were representatives of the other recipient, the Commission for the Conservation of Antarctic Living Resources (CCAMLR). The awards recognise significant achievement in establishing marine protected areas (MPA’s) over areas of the high seas in the North-East Atlantic and Southern Ocean respectively. “Protection of the high seas is really the poor cousin of the well-behind schedule, well behind target international agreement to establish the levels of protection necessary to protect the world’s biodiversity,” said Gustavsson. “In the Southern Ocean, CCAMLR is awarded its commitment to delivering a representative network of marine protected areas throughout the Southern Ocean by 2012. To achieve this objective, CCAMLR has agreed to a concrete step by step work plan and the South Orkneys MPA, the first high seas MPA, representing the first component of the Southern Ocean MPA network, was adopted in November 2009,” Gustavsson added. “In the North-East Atlantic, we celebrate OSPAR’s role in the establishment of the first suite of high seas MPAs, including four seamount protected areas as well as two large sections of the Mid-Atlantic Ridge, a stunning and ecologically underwater mountain range,” he said. WWF noted that the North East Atlantic proposal involved a unique collaboration between single coastal states, OSPAR and other intergovernmental bodies that is setting an important precedent and lesson to be shared with other regional seas - demonstrating it is possible to identify priority areas on the high seas, set conservation objectives and generate the political will for the management of human activities in parts of the oceans “far out and deep under”. The establishment of the high seas MPAs in the North-East Atlantic has been under consideration by OSPAR for four years, with some contracting parties entering last minute reservations due to concerns over their rights to use the seabed. “We are happy that these reservations finally could be lifted but WWF regrets that full protection of the biologically diverse Charlie-Gibbs Fracture Zone to the north of the Mid-Atlantic Ridge was postponed until 2012,” said Stephan Lutter, WWF-Germany's Marine Protected Area expert and spokesperson to OSPAR. 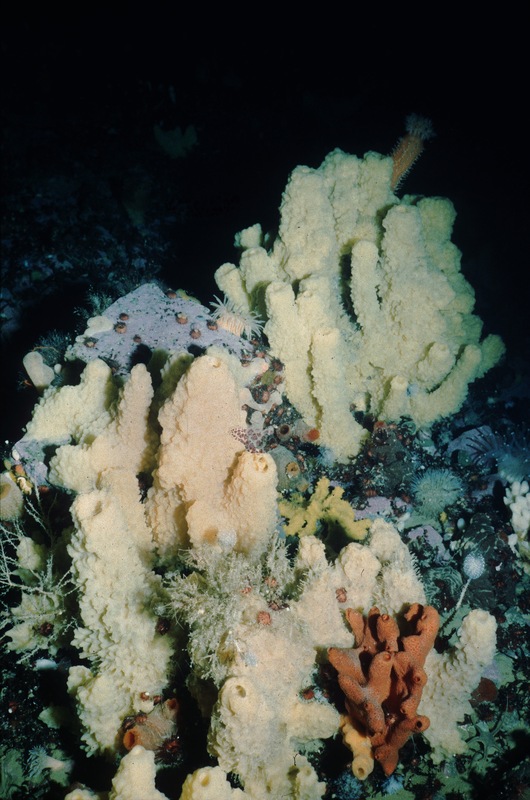 The North-East Atlantic is rich in marine wildlife, including cetaceans, sharks and rays, orange roughy and other deepwater fish, and vulnerable marine ecosystems such as cold-water coral reefs, coral gardens, sponge aggregations, seamounts and hydrothermal vent fields, many of which have been identified as threatened and declining due to high fishing pressure and impacts from other human activities. The Southern Ocean is the one of the last great wildernesses on earth. Isolated by ice, wind and wild seas, it is one of the world’s most pristine environments. What appears at first glance to be a relatively simple, cold and inhospitable ecosystem is in fact a region of spectacular natural beauty that is home to an outstanding diversity and productivity of wildlife. The unexpected beauty of the Southern Ocean is now recognised as supporting some of the most biologically productive regions of the world’s oceans. The Gift to the Earth award will be handed to Dr. David Johnson and Dr. Henning von Nordheim for OSPAR, as well as Dr. Denzil Miller from CCAMLR. Coral garden on seamount in North Atlantic. 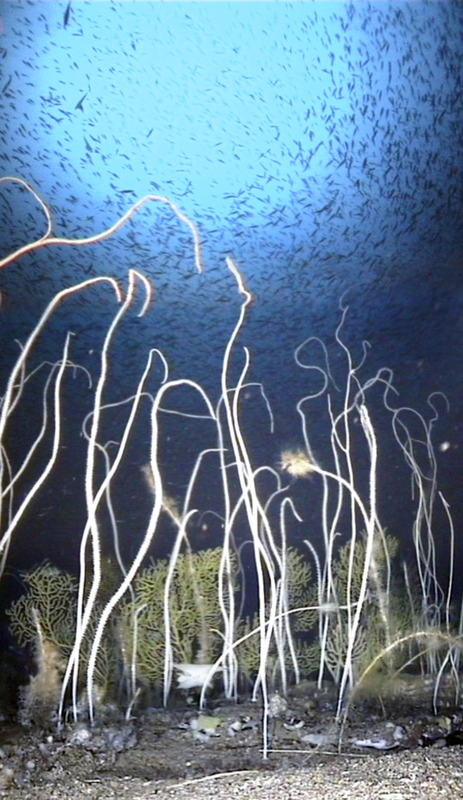 Seamounts are oases of the open ocean, rich in marine life, and provide a stop over for migratory species such as whales, turtles and tuna, and host congregations of deep sea fish, all vulnerable to impacts of human activities. The South Orkneys Marine Protected Area hosts a rich biodiversity comparable internationally recognized sites such as the Galapagos.